Ever see a flock of ducks in a circle seemingly in a feeding mode – even a frenzy? That is was I observed on a local pond last week. I’ve observed this type of feeding in the past, usually with shovelers. 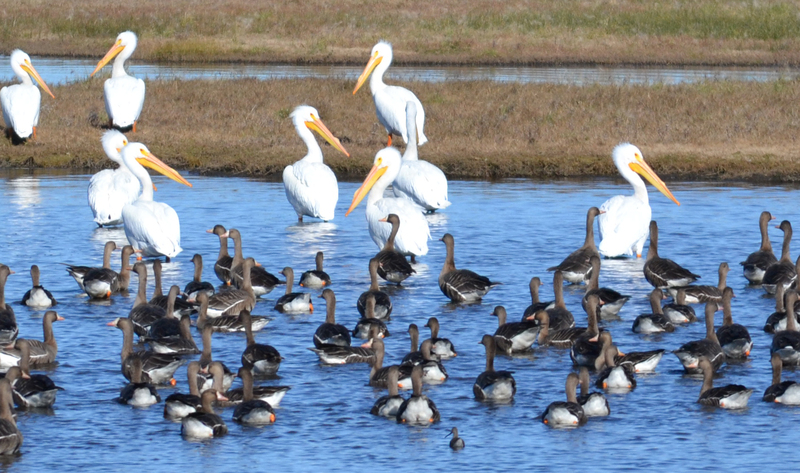 The first time I ever took notice of this type of feeding was at Lower Klamath National Wildlife Refuge about 25 years ago. The ducks were spoonies. 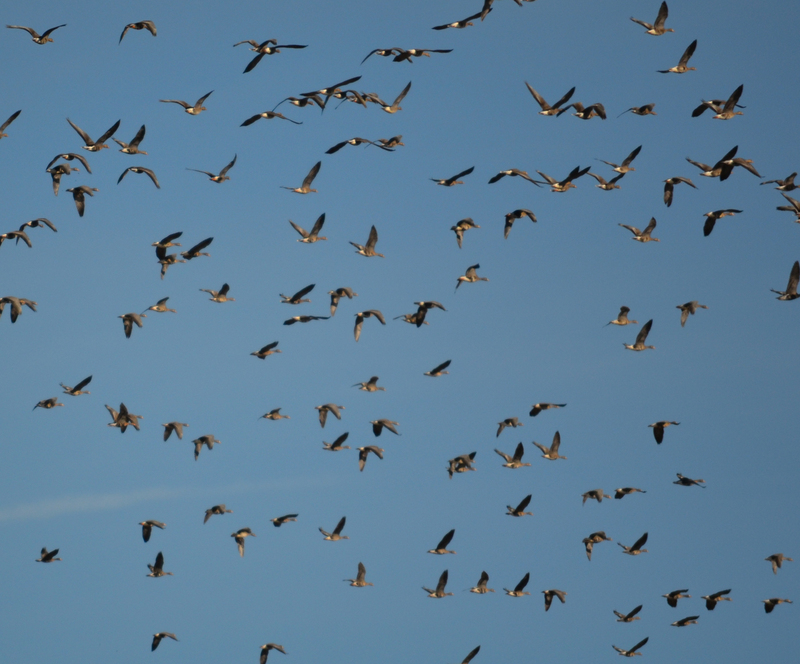 Last week I spotted a group of widgeon doing this. Here’s a photo. These widgeon were definitely feeding. My theory is that they were feeding on invertebrates that live near the bottom of the pond. Because these are dabblers, they don’t dive for food so critters on the pond bottom are not available to them. Somehow the ducks have learned that by feeding in a circle, the food rises towards them. The reason for this? As they paddle towards the center of the group (circle) the ducks paddle water away from the center of the circle. This creates water movement away from a point at the center. As the water moves away, it must be displaced by other water. The displacement causes water to rise from the bottom. This is a similar effect to a low pressure weather system. Water movement from bottom to top brings up the critters. I think this type feeding is more commonly found in winter as food sources diminish. Here’s another photo. A couple of weeks ago, I planned a weekend duck and goose hunt. Hunting by myself would allow me to hunt in any manner I wished. Hunting our 140 acre plot on Webb Tract can be limited when in a group, but by hunting alone, I figured I might hunt anywhere on the parcel and apply any style I chose without interference from any other hunters. I was right. Before leaving home, I focused on a couple of tactics, one for geese and the other for ducks. I convinced myself that these two tactics would work. Therefore, my strategy for the hunt was limited by my own vision. When I arrived at the property, the water levels had been manipulated in a way that I hadn’t anticipated so my primary goose and duck hunting tactics were not as favorable as I had anticipated. The blind where I had intended to wait out the specs, had a water truck parked about 75 yards from it. It appeared to me that the large truck might inhibit geese from using the field and the high water at the south end of the property was attracting both ducks and geese – another change I’d not anticipated. The water was cold and Lola would rather have stayed on dry ground, but she retrieved these birds. I made a key strategical error, I’d limited the tactics I might use by concluding that the activity on the property would be the same as the last time I hunted. This was a fatal strategical flaw, a common problem when hunting ducks and geese. In my strategy I should have included all the possible scenarios that could happen on that weekend and then come prepared with a greater array of tactical elements. This was not the first time that ducks and geese had used the south end of the property, so I should have come prepared with gear that would support that option – or any other place on the property for that matter. What would I have done differently? It turns out that the blind I intended to use was in a field that was nearly dry. 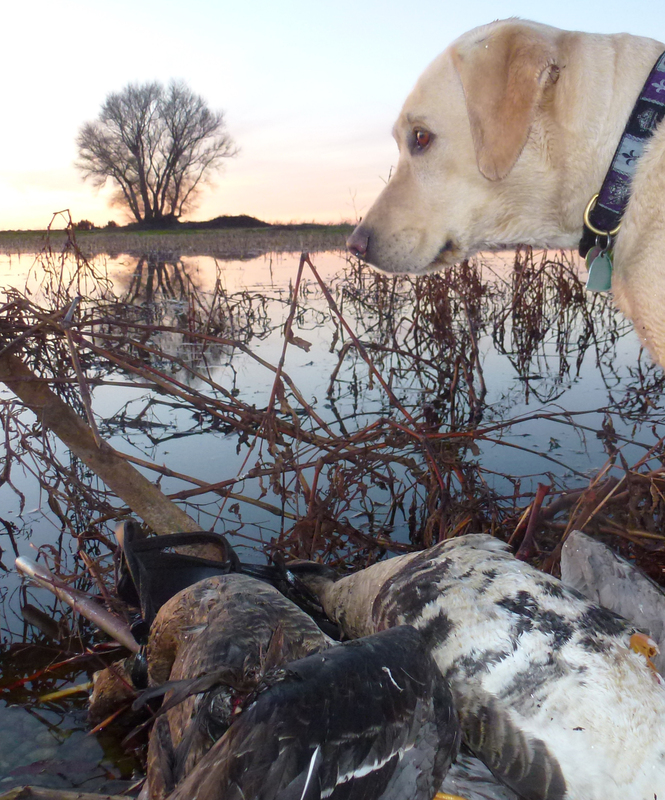 My plan was to use very few goose decoys or maybe none at all and wait patiently for the geese to come in to the field. In this manner I could get close shots at set birds or even birds about to land. This tactic would allow me to watch the birds at close range, pick out good shots and kill a maximum number of geese with the smallest number of shots. I enjoy this type of hunting and was excited about the anticipated hunt – too excited. When I arrived at the property, I was unprepared to hunt geese over water. I’d left my floating spec decoys at home, thinking they wouldn’t be needed. As it was, I hunted geese over my mallard decoys on Saturday afternoon, killing two specs at close range, but several other small groups of specs passed by just out of range and I believe that with six floating spec decoys in the pond – one of them attached to my jerk string, I’d have killed three or four more geese than I did. My strategical mistake was to come unprepared to use all the tactics I needed – even though they were readily available to me. If my strategy had been more inclusive, I would have carried my floating goose decoys with me, even though I might not choose to use them. How does this translate to a hunt on a pubic hunting area? 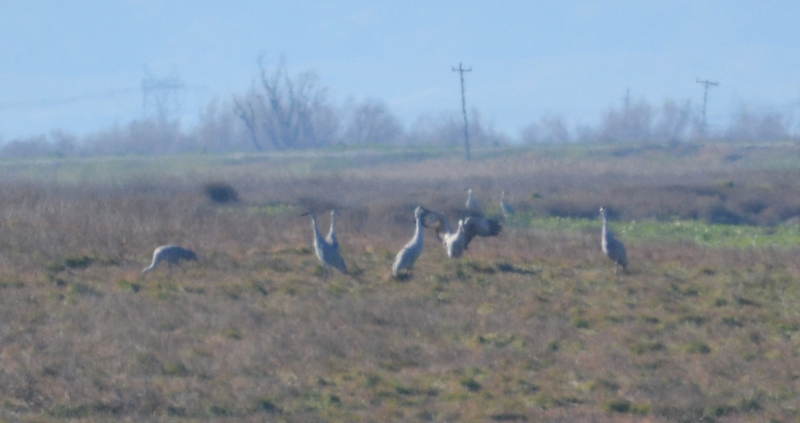 Take for example a hunt at Sacramento National Wildlife Refuge. The dogmatic approach might be to wait for a particular blind or pond, no mater how long it takes. If the strategy is limited such as this, you probably would bring a decoy spread to suit that pond. 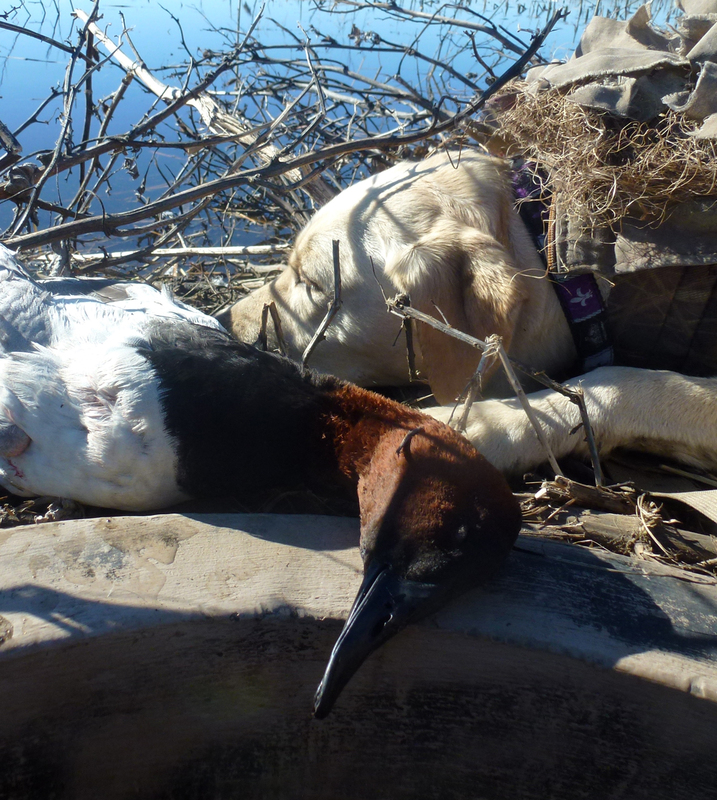 A better approach would be to search the internet for information about all the blinds at Sac refuge. That information is readily available. Maybe you want to hunt elk during the rut with bow and arrow in Northeastern Oregon. These are the strategical elements of the hunt. Some other strategy may be attending sport shows to gather information about Oregon elk tags, purchase elk bugeling tapes or to find maps of potential huntig areas such as the Eagle Cap Wilderness Area. Selecting equipment, practicing your shooting and calling would become elements of your tactical arsenal. 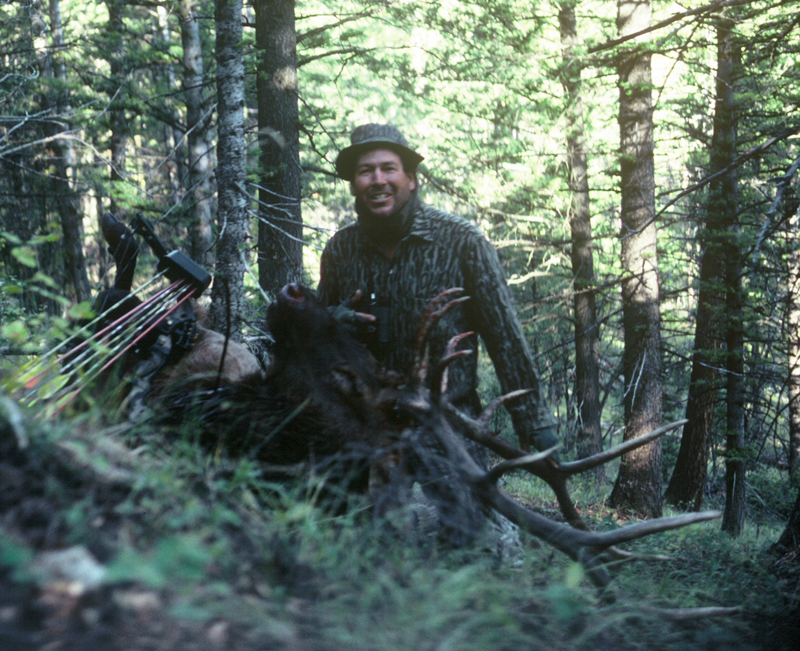 Defining your minimum trophy size is a strategic element that can change as the hunt continues. Or, your strategy may be to attempt to kill the first legal animal you come upon. In either case, you are better off if you make this decision in advance. Developing strategy is an element of hunting that provides year-round stimulation in anticipation of the next hunt. Periodic practice of hunting skills such as shooting or calling creates a hunting lifestyle and helps develop a skill. And skill forebodes success. By understanding strategy and tactics you will clarify the process by which you can achieve your hunting goals. This is about as undeniable as a mountain lion gets. My guess is that the track was made in the evening, the day before I found it. The ground was frozen solid when I snapped this photo with my Iphone. An hour later, the morning sun had melted the frozen ground. In just an hour’s time, the track had become disfigured by the water. Originally I wouldn’t have thought the track was so fresh, but after seeing how the water degraded the track, I was convinced that it was not very old. When an animal makes a track in mud, the track deepens and enlarges. This is likely a mature mountain lion of average size. My Swiss Army knife is exactly 3 1/2 inches long. I spotted this track along Arroyo Del Valle near the Del Valle Reservoir dam, just off the hiking trail. This is an area frequented by mountain lions. 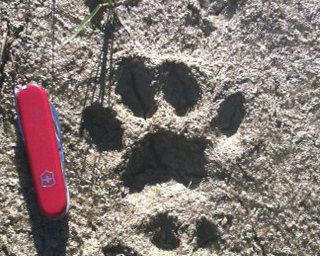 Never seen a mountain lion along this trail, but there are other signs of their activity. Last year I found a carcass near the location of the above track. It appeared to be a lion-killed deer carcass. My dog often sniffs out deer leg bones along the trail and rib bones litter the brush along the creek. Although deer are seldom visible, they can be spotted when disturbed while walking in the brush along the creek where they hide during the day. This is where I occasionally search for Pro V1 golf balls. Birds were everywhere last weekend and the bright sun made photographing them a little easier than usual. This cormorant could have been bronze. Why is there no hunting on Little Franks. It no longer serves as a refuge as there’s no habitat. Before the levees crumbled, Little Franks was marsh, now it’s open water. 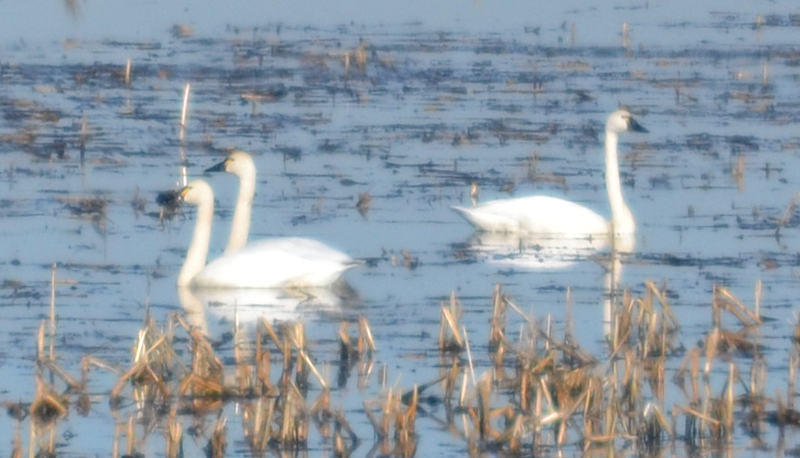 Seems to be more tundra swans than last year. Sandhill cranes seem to increase in numbers each year. Twenty years ago we seldom saw a crane. They’re called sandhill cranes for a reason. 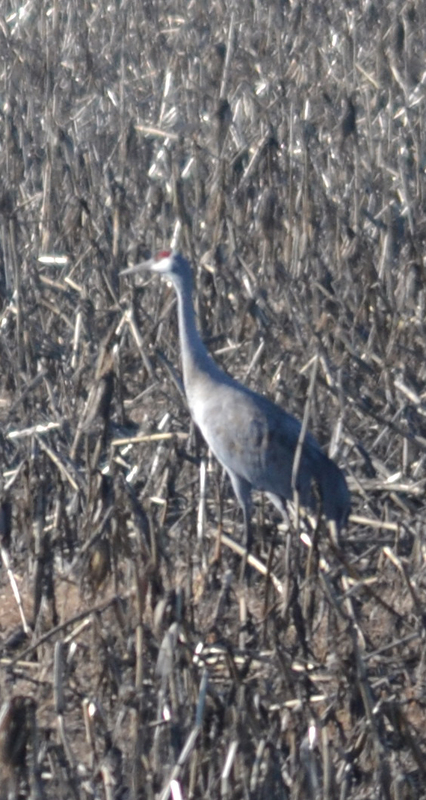 Webb Tract has lots of sand hills and cranes too. Sandhill cranes make great sounds. The cranes are quite large. In a few states they are hunted. Sandhills are quite a sight. The Delta is quite a place when all the winter visitors are present. Last Saturday was a solo hunt for me. I enjoy hunting with company, but sometimes it’s nice to have the freedom to make ones own decisions. That’s how it was on Saturday afternoon. I hunted an untested blind and had some success, getting some close decoying shots at specs and bagging two nice birds. After the final shot, I snapped a couple photos of Lola with the specs. The western sky was lighting up. I could see that the sky was lighting up as we walked from the pond. On the way back to the truck, the sky grew brighter and brighter until I had to stop a take a couple photos. For a better look, click on the photo. A fireball grew next to Mt Diablo. The core of the sunset was brighter yet. One of the best sunsets…. You never know about the next surprise. And, the photos don’t always to justice do the event. In this case they did. Here’s an opportunity for you pig hunters out there. The California Department of Fish and Wildlife (CDFW) is offering wild pig hunting at Joice Island inside the Grizzly Island Wildlife Area in Solano County. CDFW will be holding a limited-entry, permit-only pig hunt to control a small population of wild pigs. Three hunters will be drawn for each of the eight weekends, for a total of 24. The deadline to apply is Feb. 7 and the drawing will be held on Feb. 8. 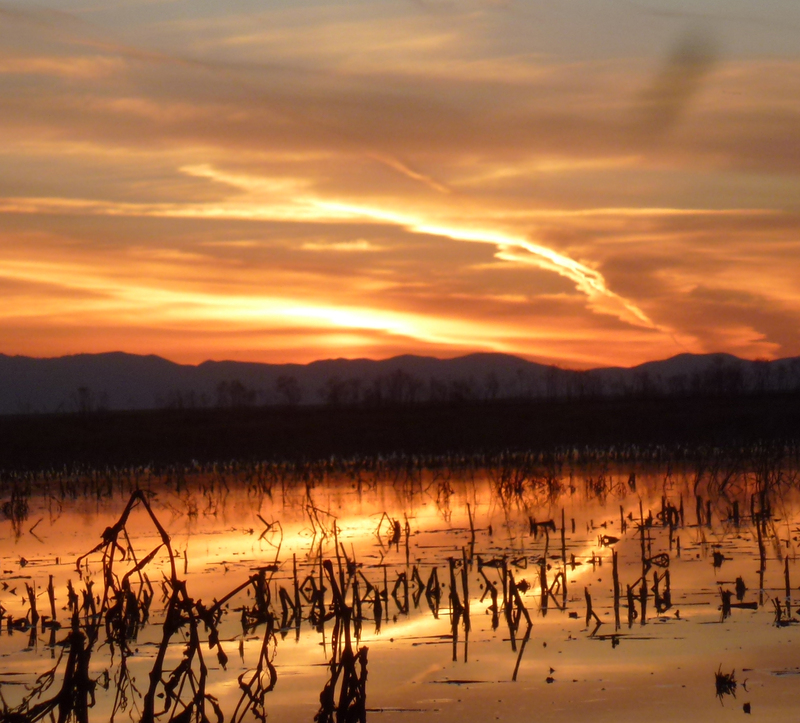 The California Delta is a wilderness in Winter. Late December and January bring out the best in waterfowling. Here are some photos from recent trips. Lola has learned to relax while waiting for her chance to be a star. Different species with a common bond. 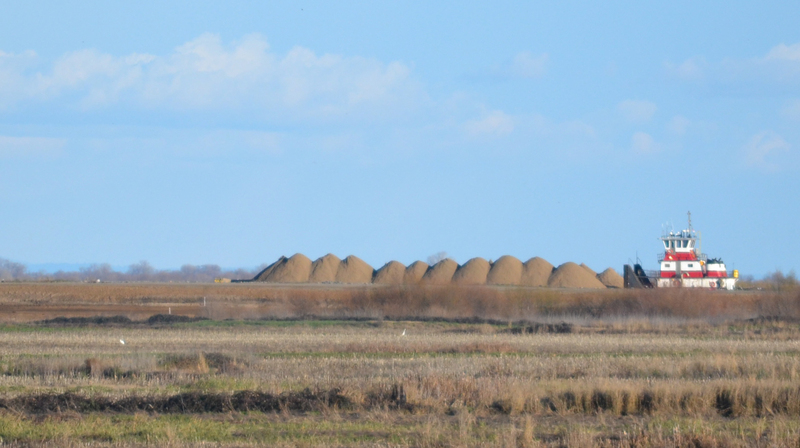 Sand is plentiful and useful in the Delta. 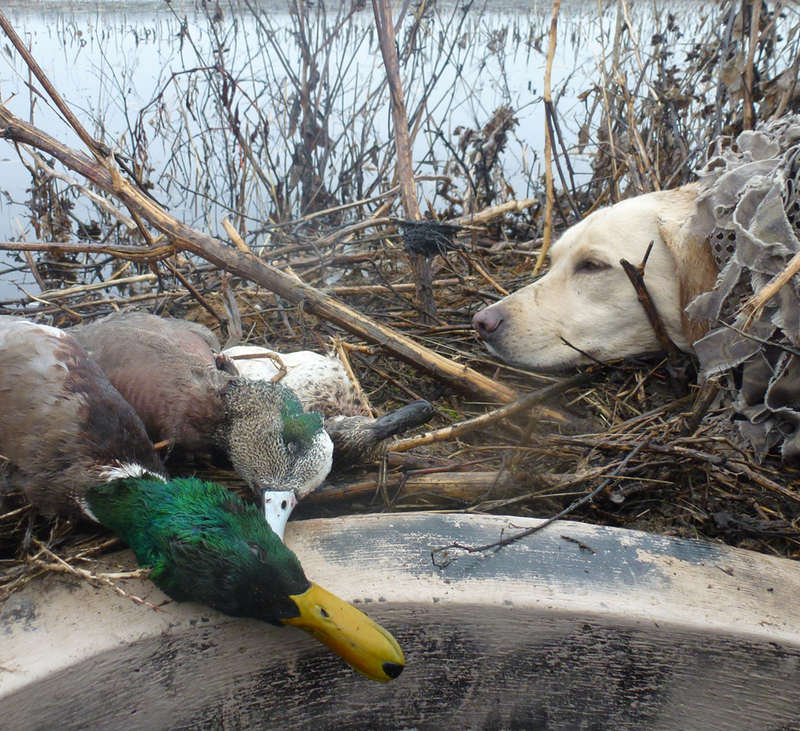 Same blind, same dog, another day, different bird. The disappointment of November turns into the optimism of December and the excitement of January. November is long and January too short.